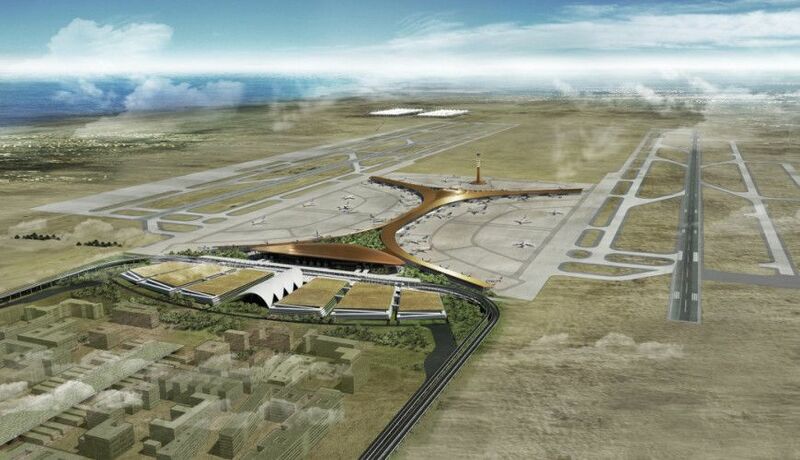 The future airport of Jeddah will eventually welcome 80 million visitors a year. 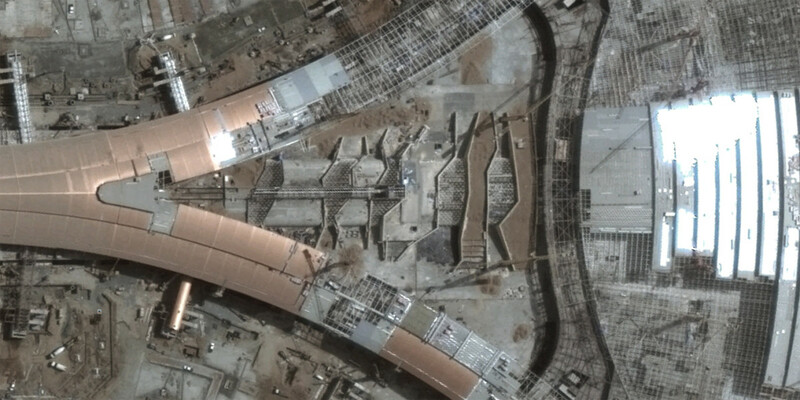 The Saudi Arabian gateway to the holy cities of Mecca and Medina, therefor this project will have a particular significance for its users. 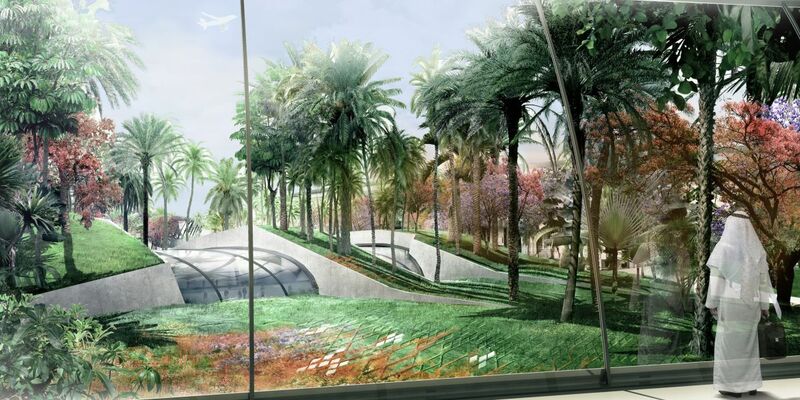 The garden creates the illusion of an oasis grown out of a dune which was there long time before the arrival of the new terminal. 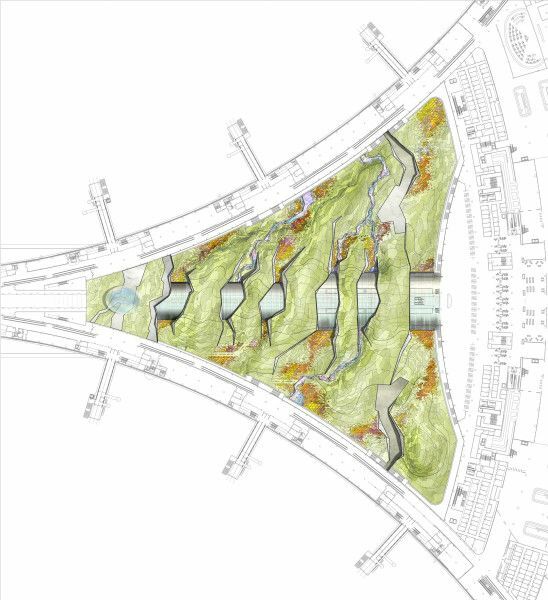 The organic forms of the topography will punctually overflow the roof of the tunnel of the people-mover to connecte the two sides of the central garden. 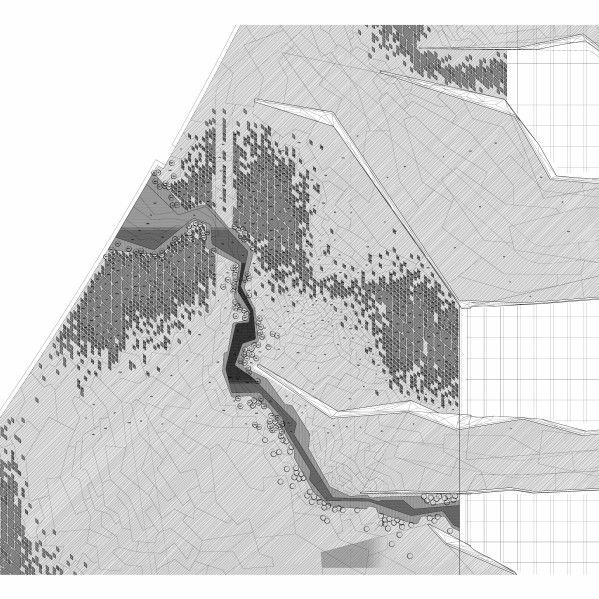 Several pleated concrete walls will slice the slopes of the hills in order to intensify the topography and to create views on the garden from the tunnel. Everywhere on Earth the sand dunes follow the same formation scheme : the surface is stridden by a pattern of sigmoid curves. 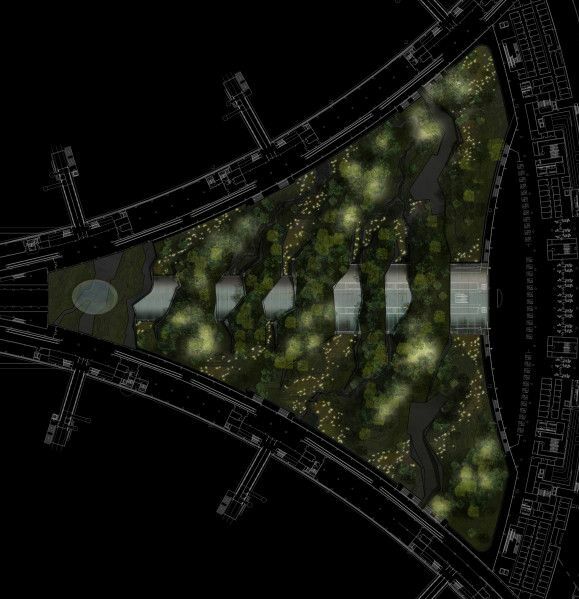 To reinforce the identity of the garden its surface will be covered with a grid formed by diamond shaped concrete elements. 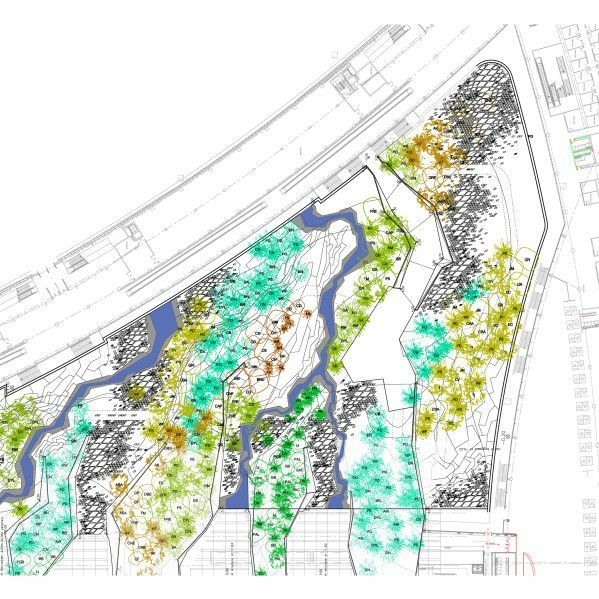 This grid filled up with colorful groundcovers will structure the surface of the garden to give the impression of a reptile-like hybrid skin. 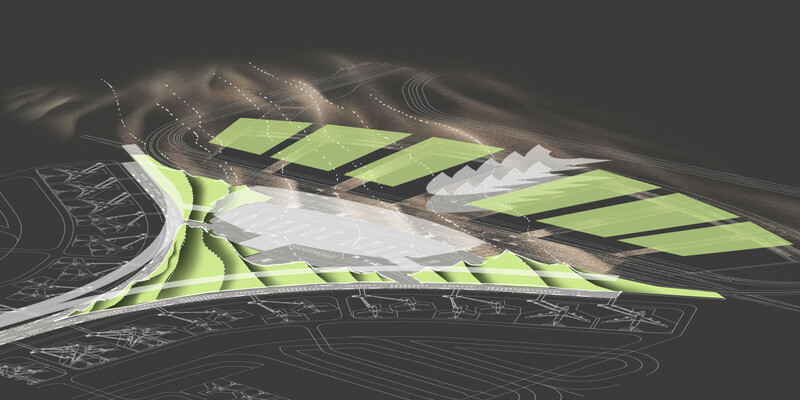 The grid will also symbolizes the two major directions of the airport: the north-south structural axis and the direction towards the holy city of Makkah. The vegetal pallet is the result of a research for species which provide a luxurious subtropical aspect even in dry conditions.